The bullet journal is a completely customizable system for organizing your daily thoughts, planning out your to-do list, sorting through a variety of upcoming tasks, and setting goals for the future. It marries a traditional day planner with a diary, notebook and sketchbook. The idea behind the bullet journal came from the notion that traditional planning and journal writing take time. The more time, energy and effort expended on the planning and writing, the greater the chance the task will be viewed as a mundane chore instead of an uplifting and motivating experience. 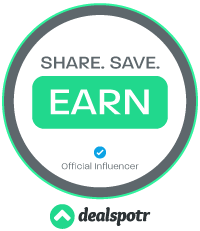 By investing the initial time to create a one-of-a-kind bullet journal, you are able to rapid-log entries and enjoy the process of simplification. To create a bullet journal, there are some basic supplies you will initially need and more elaborate items you can pick up along the way. The great thing about starting a bullet journal is that you only need a basic notebook and pen of your choosing; it does not have to be fancy or elaborate. 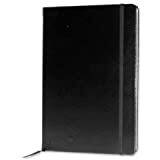 You can choose a basic spiral-bound notebook or composition book, or you can invest a little more money into a leather-bound journal with ribbon book markers. Some people prefer a notebook with lines, especially if they want to forgo utilizing a ruler during the planning stages of the journal. 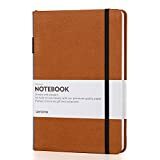 Others like the simplicity and minimalist look of a notebook with blank pages. The only other item you will need to get started is a pen. You can get creative later by using colored pencils, fine-tipped markers and even calligraphy pens. The trick to being successful when creating a bullet journal is to start slow as you learn the process and interpret it in your own way. If you make things complicated by purchasing too many supplies initially, you may burn yourself out and never even see the creation come to fruition. 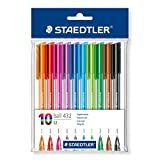 Once you have a basic understanding of bullet journaling and want to get more creative, a ruler and some correction tape become the next essentials you may want to have on hand. A flexible and transparent ruler makes it easy to create boxes and lines. 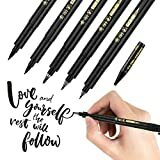 You will want to pick up one that is long enough to span the complete length of your bullet journal when it is fully opened. Correction tape is essential for anyone new to the world of bullet journaling. 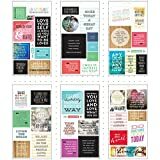 You may go through several different adaptations and stages as you plan the perfect bullet journal for your lifestyle, and corrective tape will quickly become your new best friend. 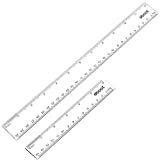 Wide application: a useful measuring tool for artists, designers, architects, engineers, students and so on; The plastic clear ruler is suitable for classroom, school, office, home, etc. Once you have the basic layout and understanding, you can let your creative spirit free by customizing your journal in any way you desire. A lot of people utilize page tabs in their journals for quick referencing and locating. Some people prefer to use Washi tape to mark their pages; it comes in a huge variety of colors and patterns and is both easy and fun to use. Washi tape is a paper or tissue-based crafter’s tape with an adhesive back that is very pliable and perfect for bullet journaling. It can be used to create page markers and fill in empty spaces in your journal. Another alternative page marker is the basic binder clip; it adds an architectural look to a bullet journal.
. Set of 40 rolls - Each roll is 3m long and 15mm wide. 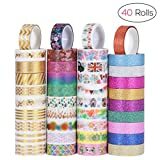 40 rolls of Washi Tapes with 40 different styles. you will love, with colors of golden, red, blue, green, purple and more.
. High Quality - The Washi Tapes are made of high quality PP material with uniform size, which is high quality and safe.
. Easy to remove - Easy to remove and stick, which are very easy to handle. The tape is easy to peel and cut and leaves no sticky residue on the surfaces when it is removed.
. Muti-Use - 40 rolls of various stylish designs, perfect for any decoration, gift wrapping, walls, books, crafts; You can decorate anything you want, it will give you a creative and unique look.
. Special Gift - Great for all ages. The Christmas ribbons are suitable for all kinds of gift wrapping and decorations. 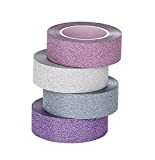 Perfect glitter tape for scrapbooking, card making, gift wrapping, decorating ,DIY projects etc. 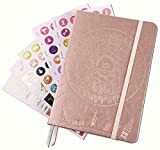 Fun little touches like metallic star stickers, stencils and stamps give your journal personality and will invoke the feeling of happiness as you flip through the pages. You can notate and mark special circumstances and upcoming events with coded stickers to serve as personal reminders. Highlighters are another great tool for marking important events. You will quickly locate and identify an important upcoming event when you use a color-coded highlighting system in your journal. Whether you choose to start a bullet journal for the simplification aspect, the organizational need or the creative desire, the finished product will keep you inspired and motivated for the entire year. You will love reflecting on the experiences and highlighted moments you have had over the past year. You can marvel at your triumphs once more as you re-read through your journal. You will also be able to pinpoint areas that may need a little more of your attention in the coming months. When you take the time to create a journal that reflects your individual style and needs, writing and doodling will become the high point of your day. 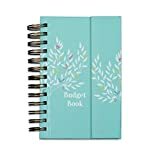 20 Best Planners 2018 Eco-Friendly Thick Notebook Review Tips for Setting Up Your Planner Start a Family and Home Planner Printable VS Store-Bought Planners: Which is Better?